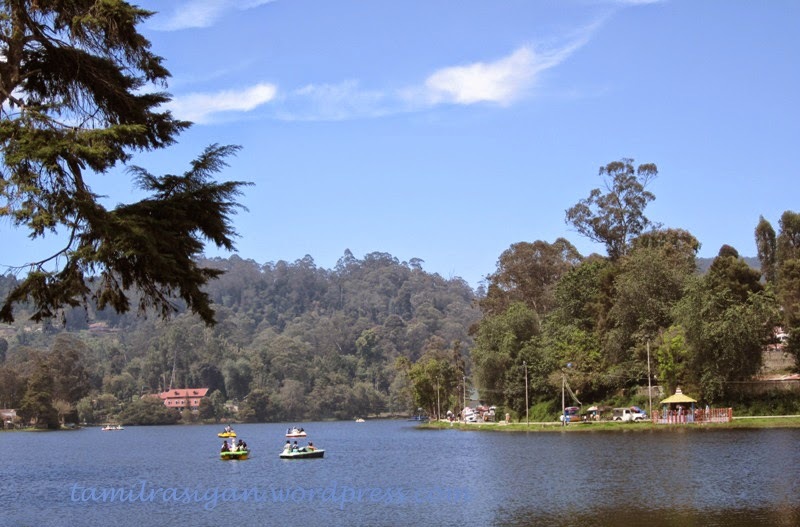 which is named after the then forest officer of Madurai H.D Bryant is amongst the most popular and exclusive tourist destinations of Kodaikanal. Sprawled over an area of around 20.5 acres traveler can get a swift access of road service to reach the site beside that its manicured lawns that still spreads an essence of noble initiative of Mr. Bryant allures the mind of the travelers who comes here to see the genesis of dazzling blossoms. Rainbow of flowers that blooms around the vicinity of Bryant Park entices botanist from all across the world as it has numerous varieties and assortments which in turn would serve the nature lover with an ample opportunity to characterize and classify the genus of the same. Traveler would be shock to understand that the management of park has preserved almost 325 species of trees, shrubs and cactus beside that it has allotted quarter of section to fertilize the growth of roses. The Eucalyptus tree which can be considered as main attraction of the Park is amongst the oldest stands of nature beside that spiritual essence of Bodi tree attracts number of religious people to venerate the same. The summer festival of the Park that sinks with the tale of mesmerizing flowers exhibits the diversity beside that it also seems to prove its preservation method which is worthy of highlighting. Ornamental plants which are shoved within the Nursery of the Bryan Park would allow an occasion for traveler to take something back home as a part of memento and what’s more surprising is you would not be taking just a souvenir as a part of your journey but primarily you would be taking a part of nature along with you. Although the gates of the Bryant Park are open throughout the year for a nature lover but we would recommend summer of season to be a best season to view the glory of Mother Nature. The entry fee to Bryant Park is Nominal and one would require paying a gesture amount of Rs 5 to enter the gates of the Park.